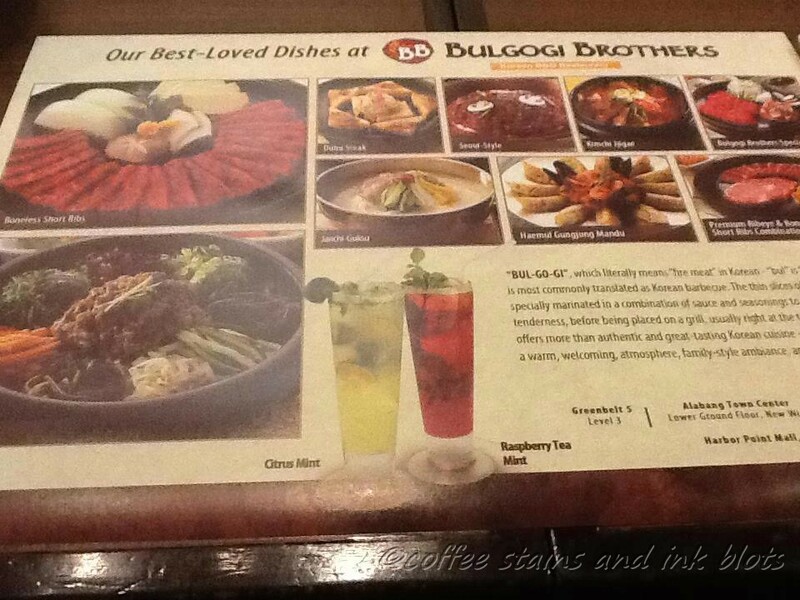 last year, for my birthday blowout with the family, we decided to have our lunch at bulgogi brothers at alabang town center. 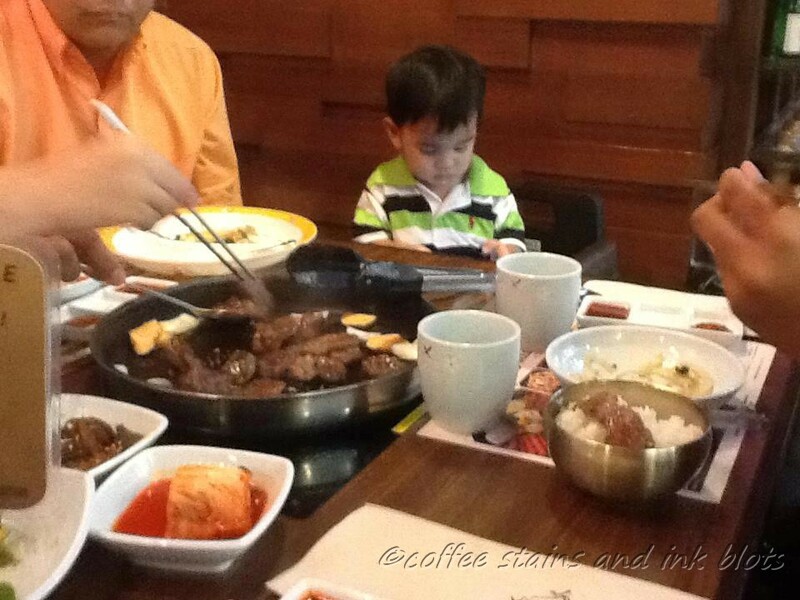 it was a fairly new restaurant back then which specializes in bulgogi marinated barbequed meat. 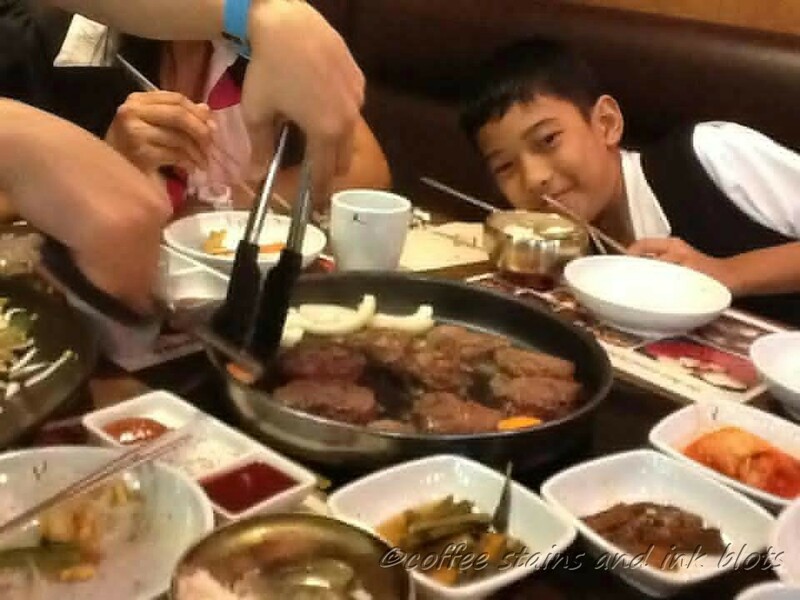 we ordered the unyang style bulogogi (the heart shaped meat – a famous royal cuisine) and the premium boneless short ribs (a plate of boneless shortribs marinated with their sauce). we also ordered sogogi japchae (a colorful dish made with glass noodles, beef, bell pepper and onions seasoned with soy sauce). they also served a complimentary appetizer plate which consisted of sweet corn, sweet potato and quail eggs. 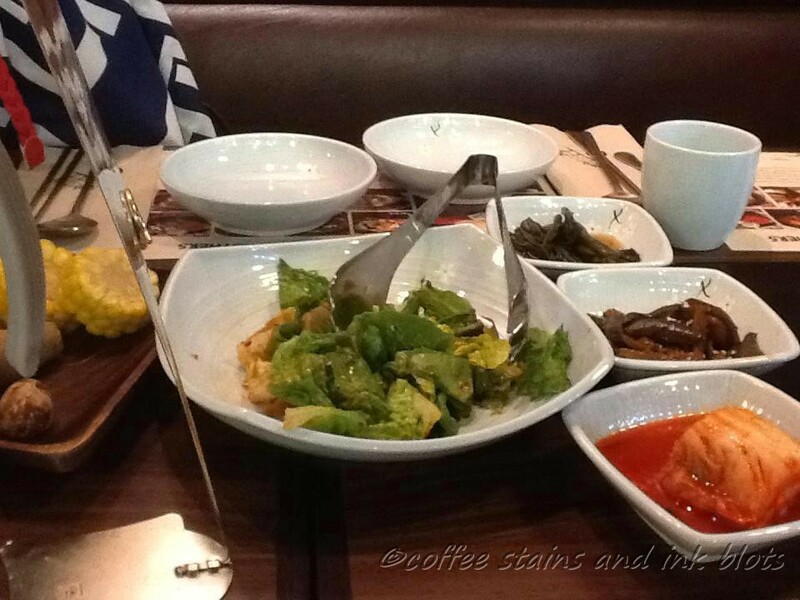 there was also a free vegetable plate which included spinach salad, kangkong and of course kimchi. 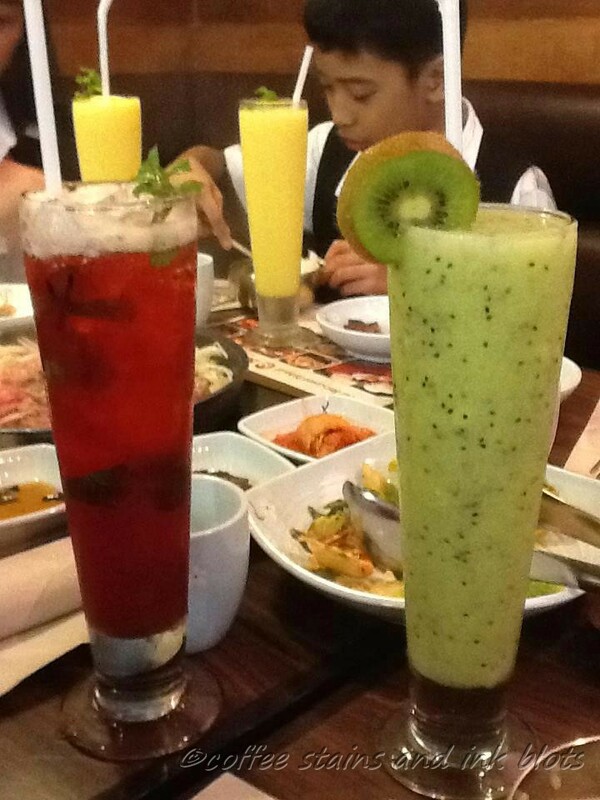 for the drinks, we ordered various kinds of tea and shake. but we also enjoyed the house tea of the day, which during that time was oksusu cha (corn tea). 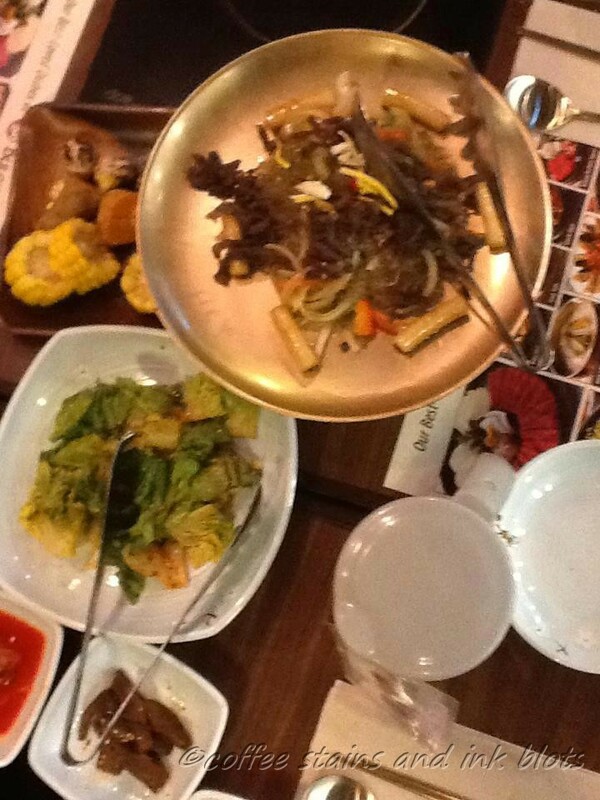 we enjoyed the japchae very much that we ordered another serving of it. the noodles had a nice bite to it and it was very flavorful. same goes with the meat dishes that we ordered. they were tender and each bite was full of flavor that you could not help yourself but eat it together with rice. they do not have anything for dessert, but they do have some melona ice cream which you could get. we got some of this, but in hindsight, we should have gotten dessert somewhere else since it was a little overpriced. overall, we enjoyed our family lunch here. we got to enjoy good food together with good company. it is a good place to eat out together with your family or friends.